A new residential community called “Brighton” with 115 detached single-family homes more than 72 acres in Tulare is to be built by San Joaquin Valley Homes and Presidio Residential Capital. Construction on model homes is scheduled to begin in January 2018, and the neighborhood is expected to be open for sale next spring. The retail value of the project is estimated by the developers to exceed $30 million. “Brighton is ideally located for families and professionals with easy access to employment and entertainment opportunities in the Central Valley,” says Danny Garcia, vice president of sales at SJV Homes. The development will feature entry-level homes with five floor plans ranging from 1,574 to 2,314 square feet and a move-up line ranging from 2,000 to 2,831 square feet on lots averaging 7,226 square feet. It will include a community park and a pond. Founded in 2013 by Joe Leal, Jim Robinson and Randy Merrill, SJV Homes sold its 1,000th home in September. Brighton is SJV Homes’ 16th joint venture project with Presidio Residential Capital, a San Diego-based real estate investment company that funds 100 percent of the projects and operations of SJV Homes. According to the National Association of Home Builders’ formula to determine the local impact of single-family housing in typical metro areas, adding 115 single-family homes will generate $33 million in local income, $9 million in taxes and other revenue for local governments and 453 local jobs, says SJV Homes. California State University, Stanislaus has published its San Joaquin Valley Business Forecast Report. The report, now in its eighth year, highlights the economy of the valley from San Joaquin County down to Kern County. Highlights of the report, which can be downloaded in its entirety from csustan.edu/sjvbfr, include reviews of employment, the housing market, inflation and banking. Professor Gökçe Soydemir of Business Economics at Stan State focused on employment, writing that it continues to slow significantly, which shows signs of a plateau. The growth rate for employment in 2017 was only 0.52 percent, according to Soydemir. If there continues to be a drop in the growth in the coming year, that could mean a decline in total employment since the recession almost 10 years ago. Much of the outcome will depend entirely on politics and the possible tax reform. The reports that Stanislaus County had a 1.94 percent employment growth rate, while Madera County had 1.15 percent growth, Fresno County had 0.93 percent growth, San Joaquin County had 0.38 percent growth. Merced County’s employment grew by 0.51 percent for the year and Tulare County grew by 0.64 percent. Employment declined in Kern and Kings counties by 0.60 and 1.19 percent, respectively. The report shows construction being the biggest industry with employment increases, due to the resurgence of housing and commercial development throughout the valley. Average home prices throughout the Central Valley grew by 7.82 percent during 2017, however, the report states that rate of growth should slow over the course of the next few months. Bay Area companies recruiting for tech talent should keep an eye on Modesto and Stanislaus County. Long-time residents of the Central Valley are aware that many of our new friends and neighbors are known as BATs (Bay Area transplants). Perhaps a little less well-known is the fact that some of these new residents have brought a wealth of tech know-how and experience to the county. Now these techies are beginning to positively impact local companies and draw high-paying tech employers into the county. Central Valley companies like E&J Gallo, Foster Farms and Hilmar Cheese that already employ hundreds of software programmers, now have a larger, more experienced tech talent pool to recruit from. And that tech talent pool isn’t just growing in size, it has also been rapidly broadening its experience and capabilities with cutting edge tools. Gallo leverages a variety of technologies including Java, PHP and SQL. Save Mart uses Ruby on Rails, Java, and SQL for their software solutions. And many other local software teams are building projects with those as well as Angular.io, Angular.js, React.js, Node.js, PHP, .Net, Python and C++. In addition to these multi-generational businesses, many newer employers are also pulling software developers into the area. Geostrategies, a leading market analysis and investment-grade mapping technology company based in Turlock, creates software to help private equity clients and brands uncover significant opportunities to grow revenue. Robert Half, a Fortune 500 staffing firm, has been steadily growing its technology practice in the Sacramento, Stockton and Modesto areas for decades as well. American Medical Response, which manages ambulance and emergency services throughout much of the country, has been growing their software development capabilities in the Salida/Modesto area for a decade now. Novo Technologies, a custom software company, already employs many developers in their Stanislaus County office, and is continuing to expand rapidly. Recently, Novo joined Robert Half and Geostrategies to sponsor the Valley Hackathon (valleyhackathon.com), a local programming contest that has drawn hundreds of programmers to its Central Valley events. MedicAlert helps millions of Americans through its medical IDs and services employs scores of software developers in its Salida office. Save Mart, whose markets serves millions of Central Valley residents, also employs many developers to facilitate its expansion and acquisitions. Other organizations such as the Turlock and Modesto Irrigation Districts and even Stanislaus County itself are significant employers of software programmers, drawing additional tech talent into the region. Oportun, a relative newcomer to Stanislaus County, whose growth has been fueled by over $200 million in venture funding and tremendous market acceptance, has opened a new and fast-growing software development office in Downtown Modesto. Local web and software development agencies have also been growing. Agencies such as Stickman Ventures, Inventaweb.net, Gerbo Design, MHD and Never Boring add significant software as well as digital design capabilities to Stanislaus County. And neighboring San Joaquin County companies such as Petz Enterprises, The Wine Group and Delicato Family Vineyards are also contributing to the growth of local software community as they continue to expand their software development initiatives. Local companies are even beginning to collaborate with Bay Area firms such as Trinity Brand Group (creative branding and packaging design), Conversant (digital media) and Traackr (influencer marketing platform) to expand opportunities on both sides of the Altamont Pass. In addition to employer-driven tech growth, the local software community has begun to organize itself to improve collaboration and help industry veterans and newcomers alike accelerate their learning curves. Valley Hackathon continues to grow their events in Modesto drawing in hundreds and has now expanded to Stockton and Sonora as well. FreeCodeCamp and Valley Software Developers Meetup combined forces in October at Modesto’s newly-opened tech co-working space, ValleyWorx (valleyworx.com) to help experienced and new programmers grow their skills. The meeting drew 3 times more attendees than expected and was larger than many software meetups in the Bay Area. According to John Bull, lead organizer for the Modesto FreeCodeCamp, Stanislaus County already has 1,000 software developers working here. Next month, Bay Valley Tech (bayvalleytech.com) will be launching coding classes as well as video game coding camps to rapidly expand the local talent pool. Software development classes and one-day camps will be held in Modesto, Stockton and Livermore. Tech community leaders are excited about Bay Valley Tech’s potential impact for the region, since Fresno’s Geekwise code academy has already trained over 7,000 programmers over the last few years. Modesto and Stanislaus County officials are very excited about the prospect of developing a local self-sustaining tech ecosystem and are evaluating ways to support the community and accelerate the ongoing momentum. Stanislaus County tech talent growth is the key to attracting more Bay Area tech firms to the region, which will create a WIN-WIN-WIN for Central Valley residents looking for higher paying jobs, Bay Area companies looking for a growing tech workforce and tech workers looking for affordable housing. • And the No. 1 is… Really? California has the nation’s third-best economic growth this year among the 50 states, according to a new analysis by the personal financial website GoBankingRates.com, which is based in Los Angeles.In California, the information industry easily outpaced all other industries, contributing 0.71 percentage points to California’s GDP. The finance, insurance, real estate, rental and leasing industry contributed only 0.34 percentage points. West Virginia saw the most economic growth of any U.S. state in 2017, the study says. Nevada ranks No. 2 in the country, with the second-highest GDP growth rate and the third-biggest drop in unemployment. The state falls short when it comes to personal income growth, with only a 2.39 percent increase. To identify areas with the strongest economies, GOBankingRates analyzed GDP growth, personal income growth and percent decrease in overall unemployment rate. States were given a score based on their performance in each category. The scores were added up to determine the states with the strongest economies moving into 2018. Kentucky ranked No. 16 on the list of strongest economies due to high GDP growth. However, the state has low personal income growth and saw an unemployment decrease of only 0.1 percent. Indiana saw the highest boost in personal income of any state at nearly 4 percent. The state as a whole ranks No. 5 on the list. Morgan Burnard, owner of Cloud 9 Coffee Co. with her “shop dog,” Lemon. The business operates out of a trailer parked on the back side of Stockdale Tower at 5060 California Ave.
Morgan Burnard had dreamed of owning her own coffee shop for quite some time. She eventually turned that dream into a reality, but not in a way she might have envisioned. She went to a two-week coffee school called American Barista and Coffee School in Portland, Ore., where she learned the ins and outs of specialty coffee, barista basics and the business side of what it takes to own a coffee shop. Then Burnard researched. She studied countless coffee shops, their products, their interior designs and their atmospheres. In the summer of 2016, she was ready to start her very own coffee shop. The 22-year-old college grad put together a business plan and sought out investors, but none of them were interested. “They didn’t see the vision,” Burnard said. On her own, she couldn’t find a building to rent within her budget. It was time for a Plan B. With help from a friend, she found a 1991 Prowler trailer on Craigslist, remodeled it, and turned it into Cloud 9 Coffee Co., a mobile coffee shop in Bakersfield, which opened in April. While the old business model used to be saving up money or taking out loans for a storefront, it’s becoming increasingly common across the country for millennial business owners to start with something more affordable — a mobile vehicle. And the trend has hit Bakersfield. Business owners throughout Bakersfield have repurposed tortilla delivery vans and junky trailers and transformed them into beautiful and trendy businesses, like Burnard’s, which she outfitted with marble countertops and hardwood floors. But mobile businesses aren’t just for coffee and food. Morgan Tasos, 22, turned her favorite hobby of making flower arrangements into a business with The Rustic Petal, a mobile flower shop that operates out of a 1959 Aristocrat trailer, which she found in Lake Isabella. It opened in late October. And sisters Maraiah Bermudez, 19, and Mia Lopez, 14, have transformed an old La Bonita Tortilla delivery truck into Melange Boutique, a mobile boutique, which opened in August. Tasos said her trailer and renovations cost her a total of $5,000, and Bermudez and Lopez found their van in the parking lot of Los Tacos De Huicho in February for just $3,900. Burnard found her trailer online for $800. Before Burnard settled on a trailer business, she found a building she liked in downtown Bakersfield for a storefront. Her decision to go with the trailer was crystallized when she learned the owners were asking for $8,000 a month in rent. Not only does the cost relieve some stress that usually comes with owning a business, but the three women have less overhead, which is an advantage, said Drew Sharples, a financial investigator at the City of Bakersfield’s Office of Treasury who handles business permitting. Beyond cost and overhead, the businesses are more nimble than brick-and-mortar establishments. They can go where their customers are. When Cloud 9 Coffee isn’t parked in front of Stockdale Tower, it’s selling coffee at a Condors game or at church. Bermudez, who plans to go to school for business and accounting, and Lopez, a freshman in high school, drive and park their van in downtown Bakersfield for Third Thursdays, First Fridays and Second Saturdays. “You are going somewhere where people actually shop,” said Bermudez. And when Tasos isn’t parked by The Round Up, she is co-hosting pop-up events with other businesses. “You can go where it’s convenient for the community. And it’s easy to travel and hook up and go,” said Tasos, who works full time and is going to school part time to become a teacher. The uniqueness of the mobile businesses has been gaining steady popularity, especially on social media with hundreds of followers. Burnard admits her trailer is very “Instagram-able,” often posting photos of her trendy coffee mugs and her “shop dog,” Lemon. Tasos feels the same way. “(The Rustic Petal) is so different and unique, I think I have a good shot at making it,” Tasos said, of her mobile shop, which opened in late October. The women update their schedules and events and show off their new products on Facebook and Instagram. Cloud 9 has become so well-known that investors who turned down Burnard for her unique vision a year ago have come back, and have asked to invest and expand, but she couldn’t be happier with where Cloud 9 is today. Of course, owning a mobile business comes with its challenges and disadvantages. Some mobile business owners have to fill up and drain tanks daily. They also need to change tires, charge batteries and clear countertops when moving so equipment doesn’t break. Space can be an issue, too. There is no refrigeration for excess flowers in The Rustic Petal, so Tasos can’t overstock. In Burnard’s trailer, there is room for a maximum of four people, which can be a problem on a busy day when she needs more helping hands. Fewer employees means the customer wait time can go up. However, Burnard’s team takes advantage of the time to get to know the customers. And on windy or rainy days, the owners may not want to leave their doors and windows open, or they may decide to shut down for the day. Being small can make them more vulnerable to break-ins, which is what happened to Cloud 9 in late October. “My team and I work really hard on what we do, and it’s discouraging to have someone take what we worked so hard for,” Burnard said. However, these disadvantages didn’t stop the young businesswomen from pursuing their goals. For Burnard, Bermudez and Lopez, going mobile made the business possible a lot faster. For Tasos, if her trailer business wasn’t an option, she probably wouldn’t have opened The Rustic Petal. Burnard plans to expand Cloud 9 Coffee to a “fleet of mobile units” sometime in the future, while Bermudez and Lopez hope to someday open up a storefront Melange Boutique. But for now, the mobile businesses are staying on the streets. One decade after Bass Pro Shops announced its intention to build a store in Bakersfield — a plan that has been marked with uncertainty amid economic downturn — the outdoor retail giant announced Wednesday that it would build its fifth California location in Kern County. The Missouri-based outdoor retailer, which specializes in hunting, fishing and camping gear, will open a 100,000-square-foot store to anchor an 800,000-square-foot mixed-retail center at the northeast corner of Hosking Avenue and Highway 99 known as the Bakersfield Gateway. It will be the retailer’s only store between Manteca and Rancho Cucamonga. No timeline or estimated date for when the store would open has been released. Beyond anchoring the anticipated development, Bass Pro Shops could boost the local economy. It anticipates hiring between 250 and 300 employees, many of whom will be locals. Bass Pro Shops announced its intention to open a 150,000-square-foot store in Bakersfield first in 2007 at the Bakersfield Gateway site, but the recession sidelined the project. “The project never materialized,” company communications manager Katie Mitchell told The Californian in 2014. 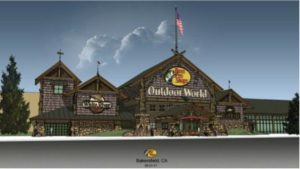 Although plans have not yet been finalized, Bass Pro Shop officials said in a press release that the Bakersfield location would include a gift and nature center featuring a variety of outdoor related items “from lamps and dishes to bird feeders and furniture.” It would also include an expansive boat showroom offering Tracker, Nitro, Suntracker, Tahoe and Mako boats built by White River Marine Group. Bakersfield planning and development officials have been working for the last five years to woo the retail giant to town, Kitchen said. Once the retailer gets site plans approved through the planning commission and applies for building permits, the city plans to help Bass Pro coast through the process, Kitchen added. “The city is ready and willing to help them get through all the permitting process and make sure there’s as little red tape as possible,” Kitchen said. Most exciting about the deal, Kitchen said, was the size of the store. At 100,000-square-feet, it’s not the largest tier store Bass Pro Shops constructs, but it is larger than what’s been rumored, Kitchen said. With virtually no vacant space in the Visalia Industrial Park a spurt of new construction is underway that will make room for both new tenants, local company expansions and relocations in coming months. If there are few empty buildings to lease, Visalia sports about 1,000 acres of land “zoned and ready to go,” according to Visalia economic development manager staffer Devon Jones. Developers looking to encourage companies who might want a location in the Central Valley are building several concrete tilt-up “spec buildings” in Visalia that can be ready for tenant improvements and occupancy in a matter of weeks. Making new projects feasible, the city has a streamlined permitting process and lots are hooked up to sewer and water. In addition there has been a $130 million investment in roads over the past few years with easy access to Hwy 99 and the rest of California. We are talking ’speedy delivery’ – not just for goods but for new buildings that will house future distribution and manufacturing hubs. Visalia’s mid-state location makes it attractive for ground shipping of goods to the Western US, enabling parcels to arrive in one-day to many locations. None other than United Parcel Service appears to be convinced, having invested in the purchase of 58 acres north Riggin at Plaza earlier this summer. Sources says UPS plans a phased development to start with – a modular sorting center to replace its current small distribution center on Goshen Ave. Then, a 400,000 permanent complex will be next for UPS – said to be the big company’s future main hub in the Central Valley. Growth around its Fresno facility has boxed them in say real estate sources. Visalia’s ample industrial acreage is apparently the answer. The land is the first parcel to sell in the Central Valley Logistics Center industrial park on the northwest corner of Plaza and Riggin since it was zoned for development a decade ago. Another big shipper is making Visalia its hub. Golden State Overnight (GSO) now owned by Britain’s Royal Mail, is building a 63,000sf distribution center at a cost of $2.3 million right now.Royal Mail bought GSO last year for $90 million. “If Memphis is the biggest hub for FedEx and Louisville is the main UPS hub – Visalia is our most important hub for the future” says GSO’s McKinley. The company has a smaller facility it leases now that has truck docks only on one side, says company VP Bob McKinley. The complex being built by Visalia based American Inc will offer triple the number of cargo doors on both sides with full automation on the conveyor system, he says. The GSO hub will employ about 70 when it opens and likely double that in some years expects McKinley. “If Memphis is a the biggest hub for FedEx and Louisville is the main UPS hub – Visalia is our most important hub for the future” says GSO’s McKinley. Perhaps the most active developer who has long recognized the need to offer new industrial space in Visalia ahead of demand – is John Brelsford of Fresno who owns Diversified Development Group. Last summer Brelsford broke ground on a fast-track construction project to build 3 clustered industrial buildings in a matter of weeks along Riggin near VF Corp, completing them – a total of 403,000sf – by late October of this year. Commuters passing by each morning last month marveled at the rapid progress on construction each day. While Mr Brelsford says he can’t reveal prospective tenants he is working with International Paper, who a has major paper cup manufacturing plant here, will use the most northerly building, a 140,000sf space according to the City of Visalia who received tenant improvement plans in recent days. “They are about ready to move in” says city planner Jason Huckleberry. A second space is close to being filled as well says Mr Brelsford. Because interest has been so brisk Brelsford is not waiting to build more “spec” space. He says he expects to build about 800,000sf beginning next March on 33 acres he owns on the southeast corner of Plaza and Riggin, a few blocks from his other project. Last year Brelsford acquired another big parcel at Plaza and Riggin – 150 acres from Doe family – now fully entitled and in the city limits at the northwest corner of this same key intersection.The spot is just 1.5 miles from the new Betty Drive interchange on Hwy 99 that is expected to be complete in a few months. If newcomers make the news, expansion of existing industrial park tenants are the bread and butter of Visalia’s economy. Consider VF Corp, the international clothing maker, who has a million square foot distribution center on Plaza Drive. VF, maker of Wrangler, Lee Jeans and NorthFace outdoor clothing, employs up to 1,100 people and most of them live within a 10-15-mile radius from the facility says the company.VF has recently completed a $3 million upgrade to their facility and plans more in 2018. Another industrial park tenant that continues to grow larger is Perfection Pet Foods, a division of Western Milling, based in Goshen. The pet food maker is building a $6.2 million office and warehouse right now. Owner Kevin Kruse says they are replacing a 100,000sf warehouse a few miles away.”We wont have to move our products across town” from their manufacturing plant, he figures. The new warehouse will house products ready to ship to Walmart and other large customers. Perfection Pet Foods employs about 120 at their growing campus of buildings in the northwest part of the industrial park. As interest in new buildings grow, the vacated space makes room for others who will likely gobble up this 100,000sf left by the pet food company, for example. Meanwhile smaller players like local developer Danny Freitas says his various Visalia industrial park spaces are all spoken for and he will now build two new 40,000sf “spec” warehouses for lease, one on Kelsey and one on Sunnyview. Also in the industrial park, Servall, the big appliance parts and repair company says they will open their new sales and distribution center in Visalia in December 2017 at 2247 N. Plaza Dr., Suite D, in am existing 35,000 sf building – one of the few vacant spots in the Mid-State 99 complex. The company cited their ability to do one-day shipping of appliance parts to consumers and businesses throughout all of California.The business will employ 20. Four Navy F-35C Lightening II fighters arrived at Naval Air Station LeMoore, California on Jan. 25 in what naval aviation officials are calling a huge step in the evolution of Lemoore as the Navy’s first Joint Strike Fighter Base. 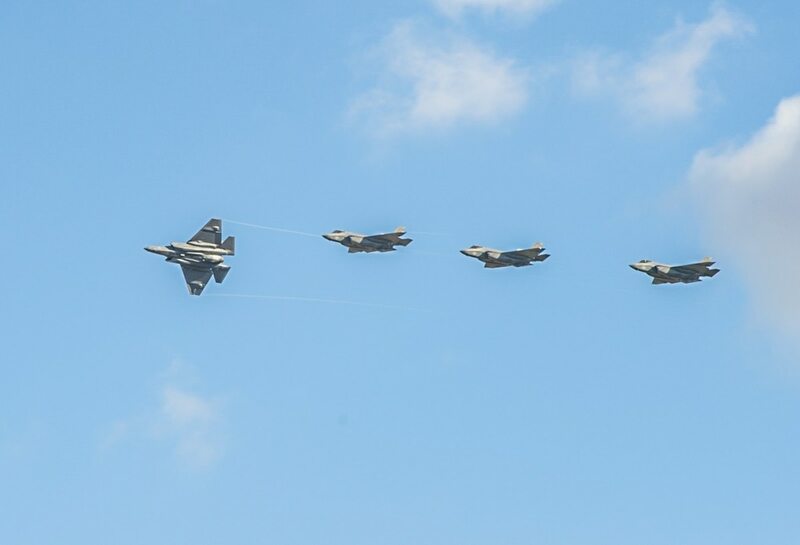 This is the first delivery of the aircraft carrier variant JSF stealth fighter not only to the base, but to the “Rough Raiders” of Strike Fighter Squadron 125. The squadron was reactivated at Lemoore on Jan. 12 to be the West Coast JSF fleet replacement squadron. “The jets behind me represent the incredible new fifth generation capability for our future air wings, with its stealth qualities it can penetrate threat envelopes, its integrated sensor packages collect and fuse information, providing a common operational picture for the carrier strike group and joint force commanders,” Vice Adm. Mike Shoemaker, commander of Naval Air Forces told the assembled crowd at Lemoore. 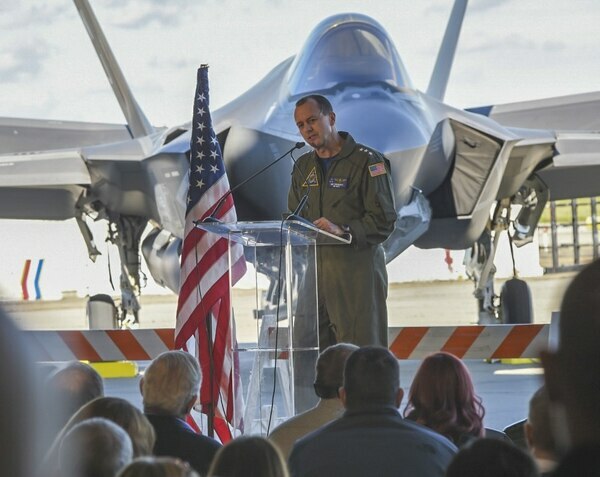 LEMOORE, Calif. (Jan. 25, 2017) Vice Adm. Mike Shoemaker, commander of Naval Air Forces, speaking at the arrival of the first four JSF F-35C fighters at NAS Lemoore called the JSF “game-changing technology for naval carrier air wings. “This is truly game changing technology and, no kidding, what it takes to win the future high end fight,” Shoemaker said. But the aircraft’s advent into active military use has been a rough one due to rising costs and delays in development and production. Still, naval aviation officials say the airframe is a critical cog in the Navy’s air wing of the future. The Navy is transitioning to include the Boeing F/A-18E/F Super Hornet fighters and their sister aircraft, the EA-18G Growlers electronic attack aircraft. The high-tech wing is rounded out by the Northrop Grumman E-2D Hawkeye multi-mission surveillance aircraft and Sikorsky MH-60R/S Seahawk helicopters and then next generation of the Carrier Onboard Delivery aircraft, now expected to be a variant of the Boeing V-22 Osprey. “The initial plan is for VFA-125 and the first 7 operational F-35C squadrons to be based out of NAS Lemoore,” said Cmdr. Jeannie Groeneveld, spokeswoman for Naval Air Forces in San Diego. The original plan had the Navy’s first JSF unit — the “Grim Reapers” of Strike Fighter Squadron 101, currently based at Eglin Air Force Base in the Florida Panhandle, to move to Lemoore this month. Instead, the Navy opted to stand up VFA-125 at Lemoore as a separate West Coast squadron instead. Groeneveld told Navy Times that no decision has been made on any future JSF home bases, including on the East Coast. For now, VFA-101 will stay in Eglin and also train pilots and enlisted maintainers as the service begins to transition squadrons into the new stealth jet. Navy’s leadership considers Lemoore an ideal place to train pilots and aircrews. 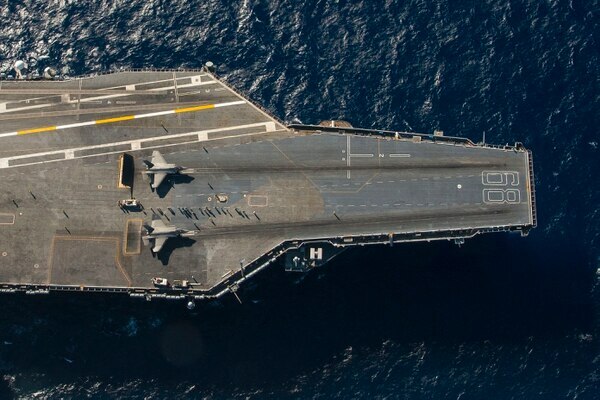 There’s easy access to training ranges in Nevada and it’s a short hop out to carriers operating off the West Coast from San Diego as well as Washington State. “We enjoy basically unencroached airspace in Lemoore to practice here as we do at sea,” said Capt. David James, commanding officer of NAS Lemoore. Lemoore, is expected to add more personnel and F-35C squadrons over the coming years. In the past year, the service relocated the “Knighthawks” of Strike Fighter Squadron 136 from Naval Air Station, Oceana in Virginia to the base. Two F-35C Lightning II stealth fighters set up for the catapult launchers as part of the aircraft’s first sea trials aboard the aircraft carrier Nimitz. The world’s leading manufacturer of irrigation polytube for the agricultural industry has chosen land north of Dinuba as the location for its new manufacturing plant. “Tulare County was chosen after an extensive search throughout California for the best location for their venture,” according to a press release issued today by the Economic Development Corp. of Tulare County. The agency reports that Arkansas-based Delta Plastics plans to build a 75,000-square-foot manufacturing plant in an industrial park off Road 68 in the area of Avenue 430 and employ up to 120 people there. EDC President Paul Saldana said, “120 manufacturing jobs are pretty significant,” adding that he sees a lot of opportunity for Delta plastics to grow its operation in the coming years. The new plant, operating under Delta’s Revolution Plastics division, will produce polytubes — hollow, high-grade plastic tubes that can be rolled out into fields and have holes punched into them to insert water emitters. The tubes are filled with water and expand, much like a fire hose, except the water shoots out of the emitters, irrigating nearby crops. The plant also will produce Revolution Bag trash can liners made from recycled polytube material and other plastics that the company plans to collect from agricultural operations throughout the state to process at the Dinuba plant. Delta Plastics officials couldn’t be reached immediately for comment, but a video on its website states that a portion of the recycled plastics are sold to other manufacturing businesses. Delta currently has two manufacturing plants in Little Rock, Arkansas and Mesquite, Texas, along with a recycling plant in Stuttgart, Arkansas. “We look forward to our growth and partnering with the agriculture industry in California as we expand our commitment to waste diversion and recycling throughout the state,” Louis Vasquez, Delta Plastic’s director of corporate development, said in a press release. “We are excited about Revolution Plastics coming to the Dinuba area and look forward to having their employees live, shop and dine in our community,” Dinuba Mayor Scott Harness said in the same release. Saldana said EDC representatives spent a long time showing Delta officials developed and undeveloped sites in Tulare County, and he believes that variety of available space helped sway the company to choose the Dinuba area, along with its central location in the state. Delta Plastics of Little Rock, Arkansas, which makes irrigation polytube for the agriculture industry, is locating its new venture, Revolution Plastics, in Tulare County. According to Louis Vasquez, the company’s director of corporate development, Tulare County was chosen after an extensive search throughout California for the best location for their venture. “The Tulare County Economic Development Corporation was instrumental in assisting us in identifying sites, providing needed information and connecting us with local contacts that assisted us in our site search,” he says. Revolution Plastics is expected to eventually employ 120 people and will make products from recycled California-sourced ag plastics. “We are excited about Revolution Plastics coming to the Dinuba area and look forward to having their employees live, shop and dine in our community,” says Dinuba Mayor Scott Harness. The facility will be located just north of the Dinuba city limits and will include the construction of a 75,000-square foot building. Delta Plastics operates manufacturing facilities in Little Rock and in Mesquite, Texas. The facilities make the company’s signature polytube products, Revolution Bag can liners and other construction and ag films, which will be produced at the new California facility. Delta also operates a recycling facility in Stuttgart, Arkansas, which has diverted over 1.2 billion pounds of waste material from landfills since 1998. “We look forward to our growth and partnering with the agriculture industry in California as we expand our commitment to waste diversion and recycling throughout the state” says Mr. Vasquez.